Apple's Tim Cook: iPhone is not "just for the rich"
It looks like different variants of the Apple iPhone are on the way. 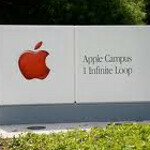 Apple COO Tim Cook recently told Bernstein Research analyst Toni Sacconaghi that Apple will not cede in any market. Having said that, the executive hinted that a lower priced Apple iPhone is more than just a rumor when he said that the iPhone is not "just for the rich". Cook also said that his company is coming up with some "clever things" that would allow Apple to compete in the pre-paid market. As we reported, the Cupertino based firm is allegedly working on a cheaper version of the iPhone that would cost less than $200 off-contract. The phone would be built using leftover components from the iPhone 4. Cook also stressed that Apple wants to increase the number of carriers that the manufacturer works with. According to Apple CFO Peter Oppenheimer, 175 carriers are partners with Apple compared with 550 carriers that work with RIM. While the comments most likely were aimed at overseas mobile operators, did we just see the ears of Sprint and T-Mobile customers perk up? This is great news. Then this will be a head to head rivalry between Apple and Google. There is a $49 iPhone at AT&T...they sell messaging phones that cost more than that (Pantech Laser). How much cheaper can it get? Jeff, are you completely retarded? Do you not read articles before you post? This is not the first time you have posted something completely wrong simply because you did not read properly. That iPhone must be killing your braincells.. He's an idiot that works for ATT. What do you expect. He believes everything they tell him and never knows what he's talking about and doesn't do any research on his own. Crazy to think that Apple is taking a lesson from Samsung. Distribute to everyone and keep churning out way better products each year (we all know that Apple only churns out slightly better products) so that more money can be made. Will apple go the way of krispy creme donuts and cheapen the product by placing it in every store? They already have, look at the ipad and ipod! Also many of apples iphone parts come from the very same manufactures that they now find themselves competing against. So I would not say that the quality is better, generally. Within a year, the main iphone sales will be plastic models wrapped in saran wrap at the cash register of every Dollar General in the country. Pathetic. Are they that desperate to move units after the verizon iphone flopped so bad? This is more reminiscent of the ipod. You have different versions of the ipod and it seems they are going to do the same to the iPhone. That's great news for those who are on prepaid plan. And also good news for youth or those who don't qualify contract plan. It will be interesting to see competiton between iOS and Android. Cheaper iPhone means an avalanche market share. Apple may experience an insane growth perhaps in Africa & Asia. There are millions if not billions who don't have contract plan. Good business strategy for Apple. Common Sense: iPhone is "just for stupid"! Good idea...now if those 27" powerful iMacs would come down to $600 & i would very ecstatic. Good for us. Here in our country, pre-paid plans are more common than postpaid ones. Reaching for a new group of consumers is not a bad move. If this turns out to be true, I could finally own an iPhone. Well, a cheaper version though. I see bums on the street with this phone. It must have already hit the broke catagory. People go into debt to have this phone with really expensive service as well as charging up there credit cards just to get Ipads. I don't understand!!! So if the ifraud 4 is selling so well, what are these "leftover" parts they have laying around. This just sounds stupid.